This type of filter uses a corona discharge – a small but intense electrical field – to charge the molecules in the contaminants in the air. Oppositely-charged particles are then attracted to each other and the positive and negative plates in the ioniser. As the particles are drawn together into clumps, they are filtered out of the air. 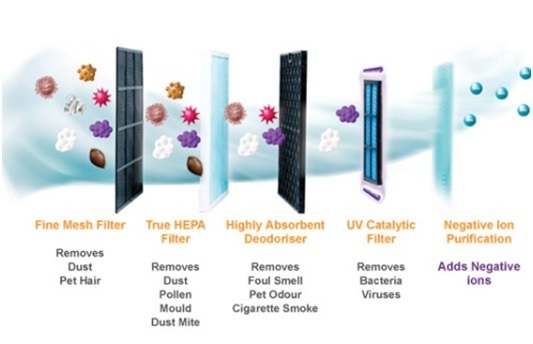 This type of filter may also use UV light to filter out harmful bacteria. An ozone generator is a type of ionising purifier; however, this is not recommended. Tests show that ozone does not purify the air and is, in fact, a toxic gas that can cause oxidisation, corrosion, and the formation of harmful compounds. These types of air purifiers work by filtering out all contaminant particles through a fine filter. This is usually a cartridge that slots into a panel-shaped housing that can then be positioned at the outlet from a boiler or in an air return vent. The denser the material of the filter, the more material is filtered from the air. The most effective form of panel filter, which is pleated, is available from suppliers such as https://www.dustspares.co.uk/filters/panel-filters/Card-Case-Pleated.html. The cartridge has a larger surface area and can even catch particles smaller than the smallest gap in the filter material. 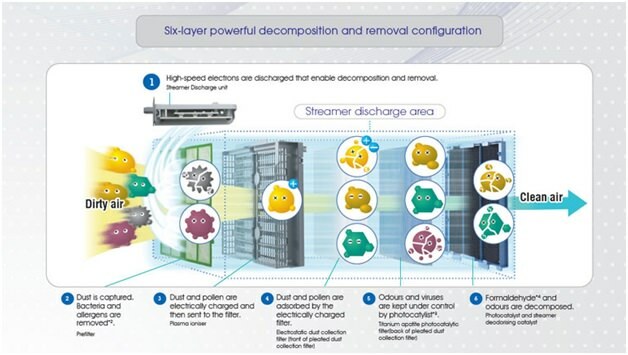 High-efficiency particulate air (HEPA) filters are often used when animal hairs cause irritation; however, HEPA filters can’t trap very small particles of 0.3 micrometres or smaller. There is an even stricter standard known as ultra-low penetration air (ULPA). This type of purifier uses a material – usually activated charcoal – to adsorb or trap particles from the air. Charcoal is particularly effective, as it has a large surface area with which to bond and adsorb particles. Clean air is not only important but also absolutely essential to establish a healthy environment. By ridding the air of contaminants, pollutants, bacteria and other airborne particles, purifiers help us to stay free from allergies and infection in domestic and commercial settings.